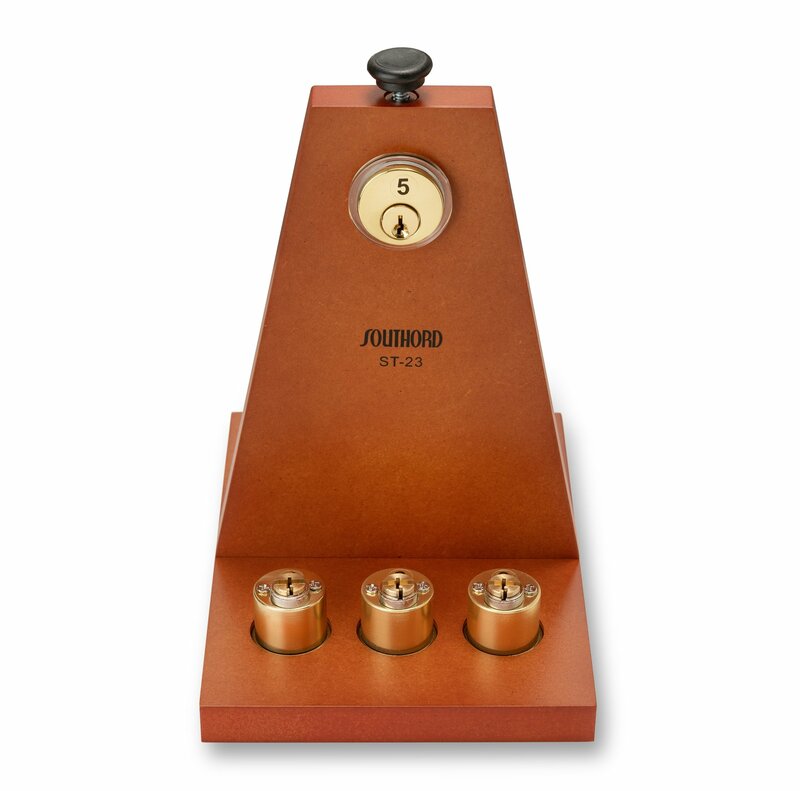 Includes 5 rekeyable lock cylinders keyed progressively. 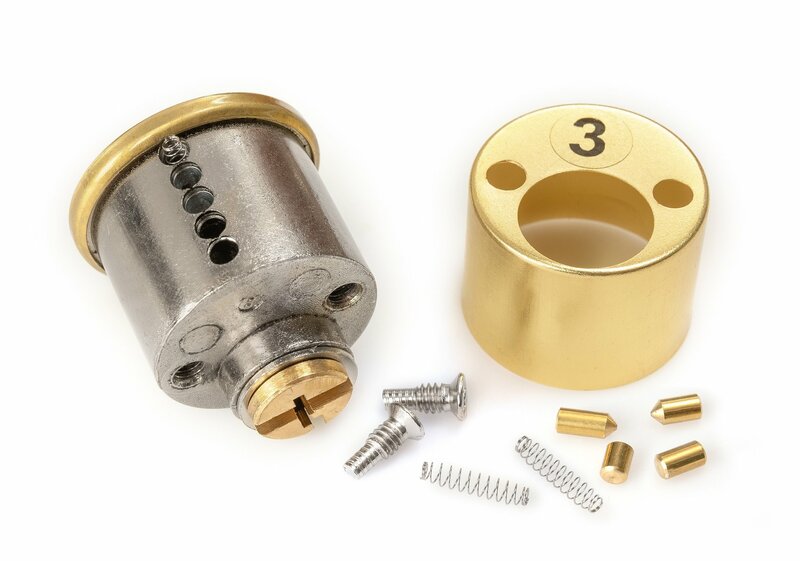 The first lock has only one pin stack, the second lock has 2, until the 5th lock is pinned with all 5 pin stacks. 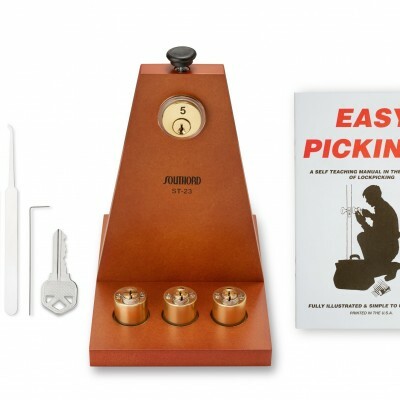 This progressive lock picking system uses the training regimen recommended by the lock sport community. SKU: ST-23. Categories: Lock Stands, Practice Locks. Brands: SouthOrd. 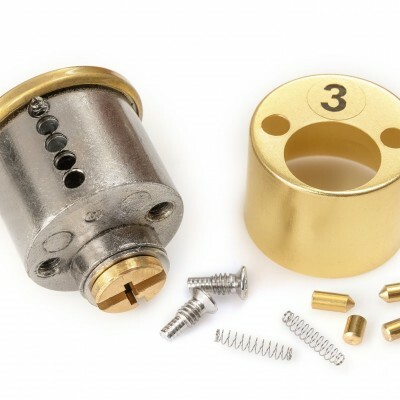 The locksport community recommends that the beginning lock picker start by picking a lock with only one or two pin stacks. 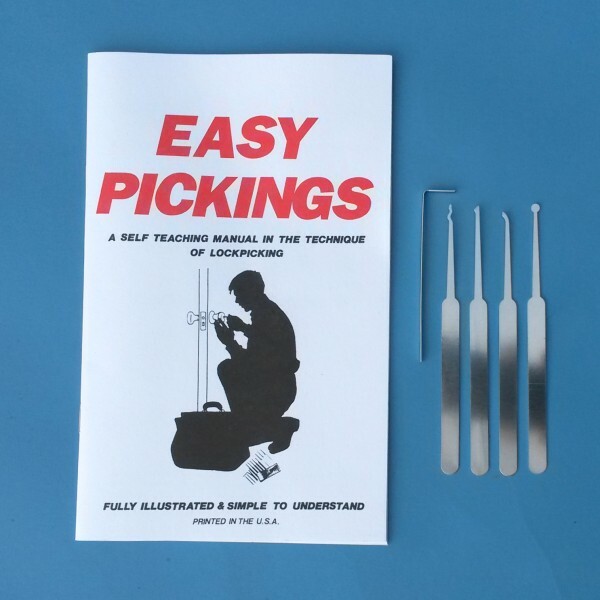 As lock picking skills increase, pins are added one at a time until you are able to pick a fully pinned lock. 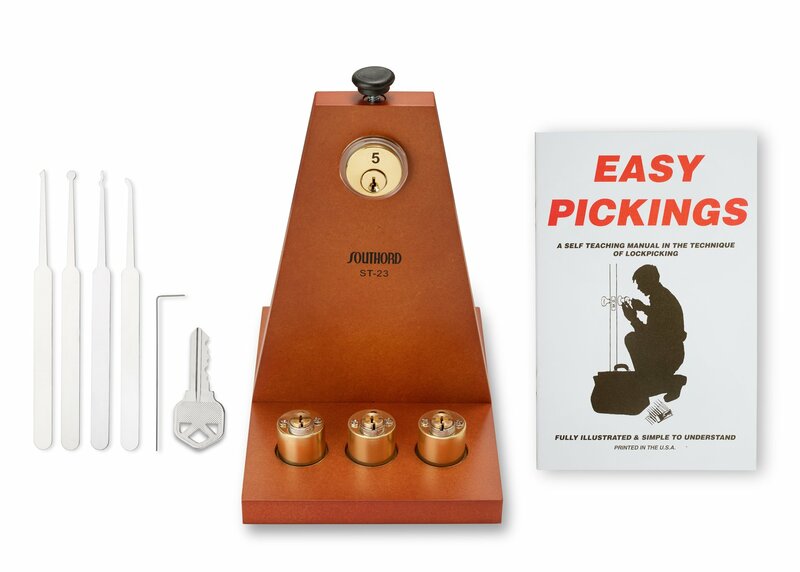 This progressive lock picking system helps the beginner to recognize the feeling when a pin is set at the shear line. The Locksmith School In A Box includes five lock cylinders. The first is pinned with a single pin stack, the second has two, continuing until the 5th lock is pinned with 5 full pin stacks. Using this system, each lock becomes progressively more difficult as you work through the locks. All locks are pinned to operate with the same key, which is included. 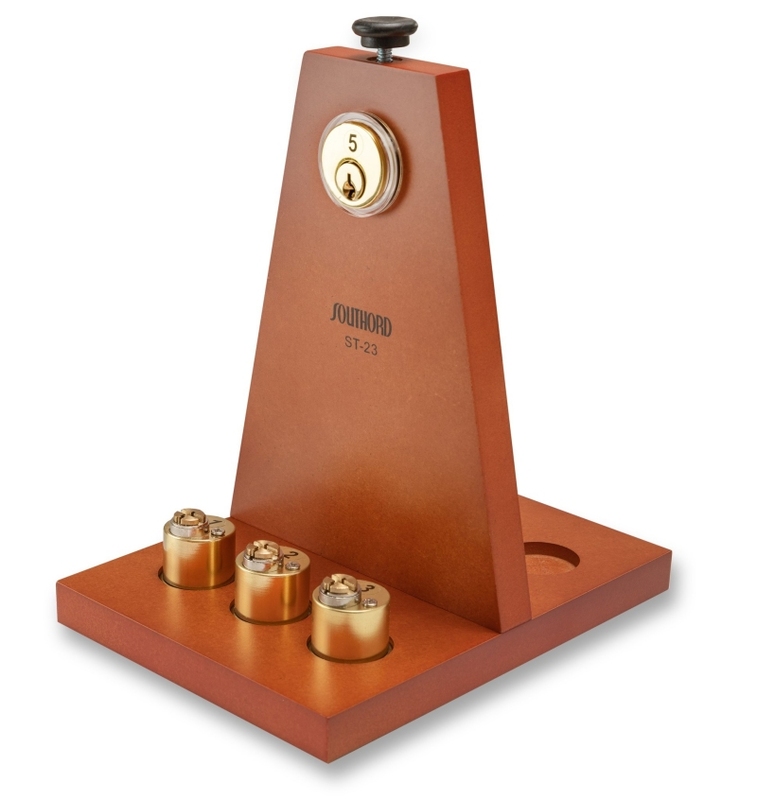 This improved version now includes repinnable lock cylinders to let you create different challenges for each lock. Also included are 4 lock picks, one tension tool, the instructional book “Easy Pickings” and a working key. 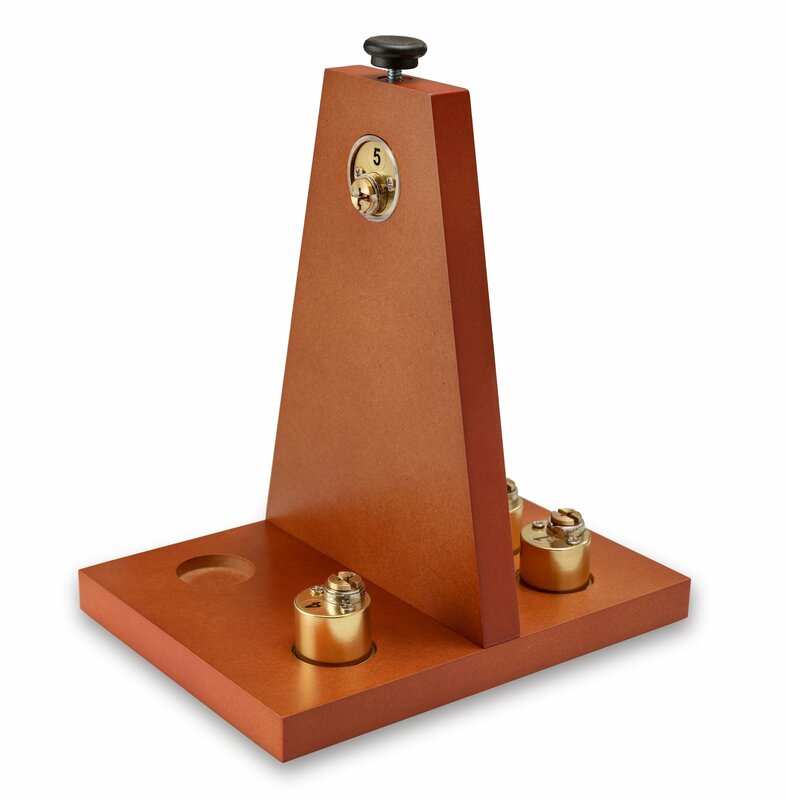 The wooden stand includes storage space for 4 of the included lock cylinders. 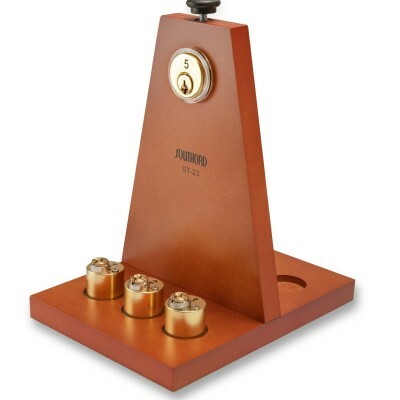 The lock cylinder being picked locks securely into the stand with a thumbscrew.